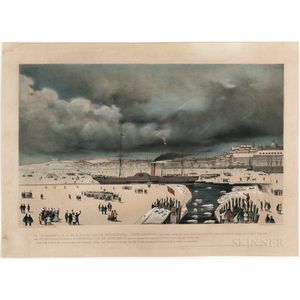 This Print, representing the B & N. A Royal Mail Steam Ship Britannia, John Hewitt, Commander, Leaving her Dock at East Boston on the 3d. of February 1844 on her Voyage to Liverpool. 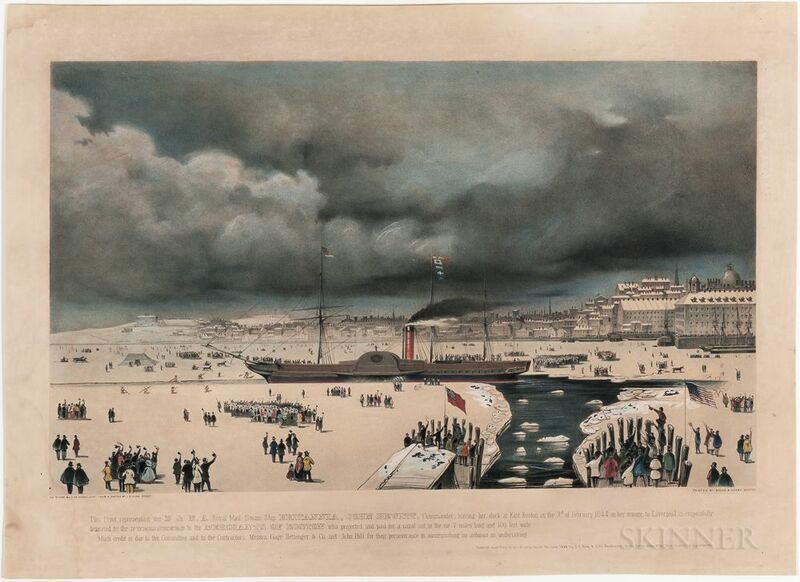 Boston: Bouvé & Sharp, 1844 First edition, chromolithograph on stone by Augustus Guy de Vaudricourt from a sketch by J.C. King, large folio format, matted, some toning, marginal water staining, mounted, 27 3/4 x 20 1/4 in.